Abu Dhabi: Abu Dhabi National Energy Company (Taqa) is looking at new opportunities in the Middle East North Africa (Mena) region, GCC and Sub Saharan Africa to grow its portfolio in power and water generation, a top executive of the firm told Gulf News in an Interview. “We are an Abu Dhabi National Energy Company, our primary focus will be Abu Dhabi and the GCC (Gulf Cooperation Council) region and we have significant presence in Morocco and North Africa so we would like to continue consolidating our position over there,” said Majid Iraqui, acting executive officer, global power and water of Taqa while adding they are eyeing new projects in the next two to three years in different markets. We are looking at major transformation of our portfolio in the UAE, that’s a bigger project. 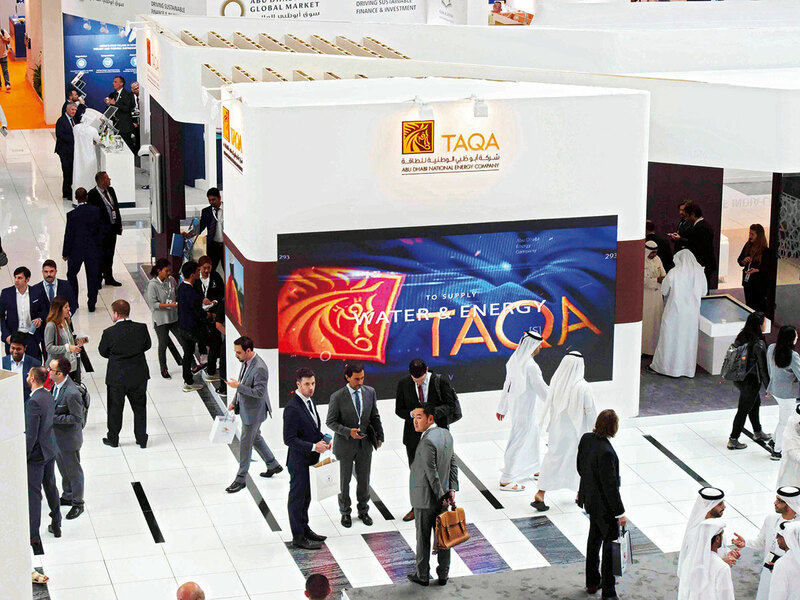 Listed on Abu Dhabi bourse and owned by the government, Taqa is currently active in eleven countries including the UAE, Canada, Ghana, India, Morocco and United States, among others with investments in power generation, water desalination, oil and gas exploration and production, pipelines and gas storage. The company has a power generation capacity of 18,000 megawatts distributed across the energy mix from lignite to coal to light crude to wind energy and water production of about 980 million imperial gallons per day. Taqa is contributing about 50 per cent of Morocco’s power production, 85 per cent of Abu Dhabi’s power and water production and 20 to 25 per cent of Ghana’s power and water production, he added. When asked what kind of projects they are planning to start, he said they are currently looking at a wind power project in Morocco and another project in Abu Dhabi, which will be announced soon. Saudi Arabia is another market, which the company would be targeting to expand their operations. It currently has a smaller gas turbine power plant in Jubail with 220 megawatts capacity. Taqa has reported a net income of Dh431 million for the first nine months of 2018 driven by higher global oil prices, greater efficiency at the company’s power assets. Revenues recorded an 8 per cent year-on-year rise to 13.5 billion. The company posted losses when oil prices were low during 2015 to 2016 period and it returned to profits in the first quarter of 2017. Abu Dhabi: Majid Iraqui is the acting executive officer for Taqa global power and water portfolio and is also the president and CEO for Taqa Morocco’s business with over $1 billion (Dh3.67 billion) in revenues. With an experience of 18 years in power and energy sector, he joined Taqa in 2007 as part of the acquisition team from CMS Energy where he held the position of country manager and established the company as the leading independent power product in Morocco. He started his career at Metropolitan Life Insurance in the USA as a senior financial analyst. In 1999, he joined CMS Energy in the USA where he held different positions from business development analyst to country manager covering South America, North America, Middle East and Africa. Iraqui has a Master of Business Administration and Leadership from the University of Michigan and a Bachelor’s Degree in Finance from Eastern Michigan University.